Whatever type of marquee hire or event you are having you will want to consider a range of event furniture, equipment and accessories. We hire these as part of our marquee hire services as well as separately for your special occasion on an equipment only basis. For existing event locations and caterers we offer a bespoke supply only service based around frequency of hire and quantities over an annual period. 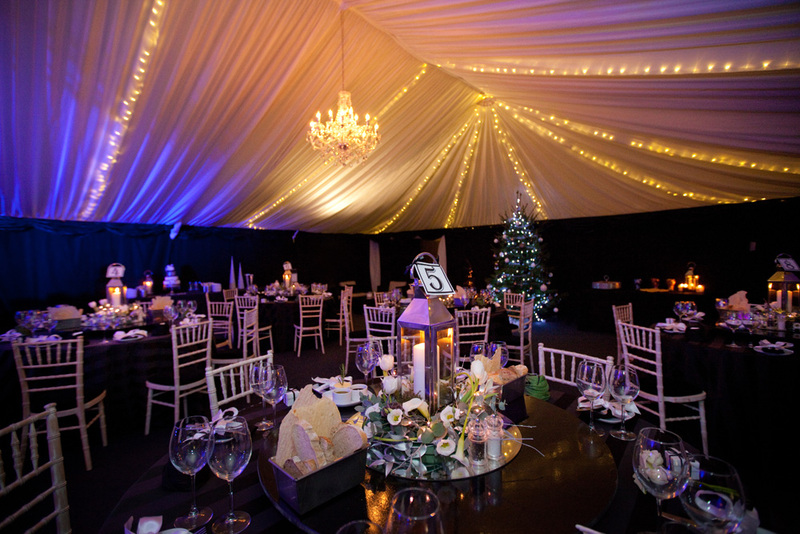 Either way at Sherwood Marquees our extensive high quality range of equipment, furniture and event accessories are available for both short and long term hire. 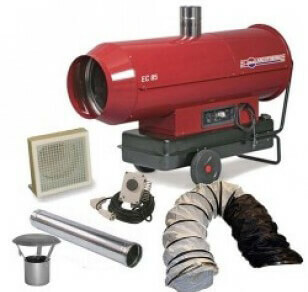 Don’t forget to look out for our special event equipment offers that run during certain times of the year. We have a wide range of tables and chairs to suit all marquee and event locations. These include white bistro and wood lime wash banqueting chairs, wood round and trestle tables with flat stacking legs, cake tables and catering tables in various sizes, bar chill out sofa sets and quality outside table and chair sets. Our lighting options include a range of traditional chandeliers, colour uplighters, party paper globes and pin spot lights to create a perfect ambience for your event. In addition, bring the clear night sky into you marquee by choosing one of our star cloth roof lining options which look great over a Dancefloor. All our lighting is PAT tested and on site advice is always available for colour options to compliment the event mood setting you require. Wood laminate, black, black and white, we have a wide variety of sizes and options available for you to consider for your guests to boogie the night away! In addition, why not add some low level stage sections to elevate the entertainment to your guests? Please ask about our centre piece illuminated white full circle or half circle bar a must if you want something for your guests to remember your event by! 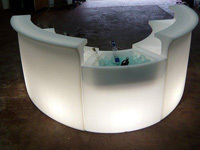 In addition, we offer separate single stand alone curved bar counter sections together with matching poseur tables and bar stools. When is a bar not a bar? When it hasn’t got cool drinks or ice to serve! We also hire bottle chill fridges and stand alone fridge trailers that will make sure your guests enjoy their drink as well as white illuminated ice/bottle bar sections that match all our existing bar options, great for weddings and parties! We supply purpose designed low noise, high warm air indirect combustion mobile marquee space heaters, together with all the associated airflow ducting to create an even temperature throughout the marquee space. The heat production units are located outside the marquee. Thermostats are also fitted within the marquee to allow flexible temperature settings making sure your guests are comfortable to enjoy themselves throughout the event. If electricity supply is not available or insufficient to meet all the event demands we offer stand alone electricity generator hire. Advice is available as part of our free of charge site visit. 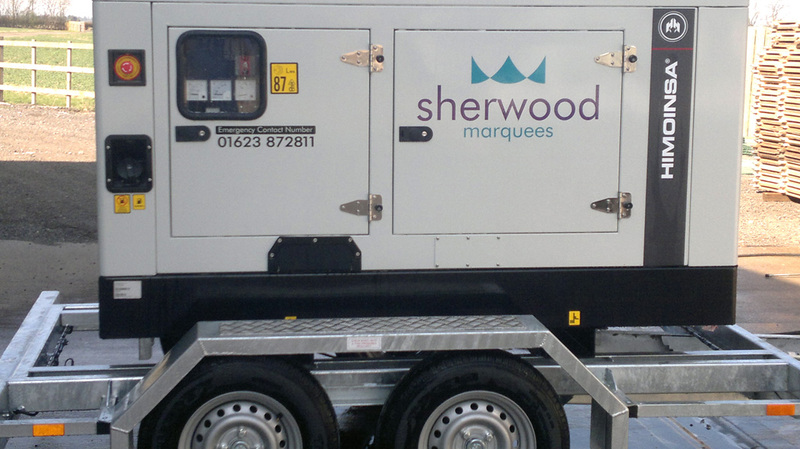 For something different or general advice and guidance on marquee accessories and equipment hire simply contact us.